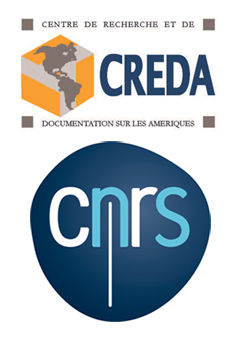 The Centre for Research and Documentation on the Americas (CREDA) is a research “Mixt Unit” of the French National Centre for Scientific Research (CNRS, "Centre national de la recherche scientifique") and the University Paris 3 - Sorbonne Nouvelle. The CREDA is a research laboratory specialised in social sciences on the Americas whose works are driven by a multidisciplinary approach,looking at territories from different scales, as well as in a short- and long-term perspective. This Unit works in close collaboration with the “Institute of Latin American Studies” (IHEAL) to develop taught courses and activities to build capacities in future researchers. It further carries out a body of research that is a fundamental contribution to a better understanding of Latin and North American contemporary realities. Such research focuses particularly on territorial dynamics, actors’ analysis and cultural, political and juridical changes.